A friend sent me a link to a a site called Pakalert Press, which analyzes trends. There, I read an article titled '25 Things About to Become Extinct in America.' That got me thinking about the things we've already lost - railroad cabooses, candy stores, phone booths. 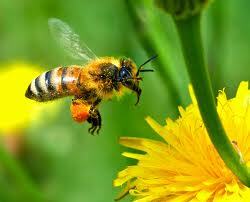 Many of you know I write a beekeeping mystery series as Hannah Reed. Buzz Off required a lot of research, so I know about the threat to honeybees. It's serious, not only in America, but across the world. Scientists are working hard to save them. I hope they can. It really, really bothered me to see them #4 on the list. You can read about all 25 by clicking here. It will be very sad if we lose bees. How will our plants be pollinated? It's scary, but most of the losses will be due to our increased reliance on technology. Every book talk I do includes info on helping save bees. Chemicals kill bees! And they love dandelions and clover, so grow some! Since moving to Spain I have never seen so many bees, and different types as well, black, black and white, black and yellow, furry ones, naked ones and they are everywhere. We live in the middle of the campo, few houses but many fields of crops. They do use chemicals occasionally but mostly they spread liquid manure. We also have an abundance of butterflies and birds, including those which are usually referred to as "endangered". The wildlife here is amazing, bats, birds and bees, everywhere. As a gardener, and consumer of food, I find it frightening that we could lose the 'thing' that provides our crops. Bees! We need to be more aware, life is in many ways dependent upon the survival of things our technology oriented world considers dispensable. They are so WRONG! I took a look at the list of 25, and it was pretty interesting. The bee loss potential is frightening. The titles of the other lists at the bottom of the page was equally frightening. Not sure I want to look at them this morning. Oh, noooo! Not honeybees! That would be catastrophic for crops of every kind! Yikes! I just read Anonymous's comment above. Wow. . .all the bees are moving to Spain. Along with all the other birds. Hmmmmmm. . .maybe we'll all escape to sunny Spain at some point. Warm & sunny, birds & bees, and flowers. My Spanish is mediocre, but it's functional. Hmmmmmmm. I hate to read about the honeybees and horses. I kind of miss the typewriter too. I can't imagine a world without bees. We really do know how to mess up this planet. On a lighter note, I really miss drive-in movies. 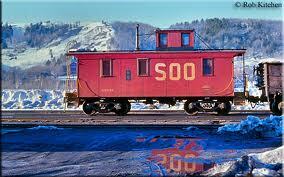 Cabooses remind me of when I was a child. We drove to a little railroad town 60 miles away to see relatives a lot on a road parallel to the tracks. I would wave to the engineers, the hobo crowd in the freight cars, and the guys playing cards in the caboose. This weekend I was clearing out some dead flowers in the garden and I came across two honeybees working their way across a mum. I apologized for distrubing their work, sat down beside the garden and just watched them for a while. Wow... I was a little depressed by the disappearance of the Ham Radio also. My father still has an active license.